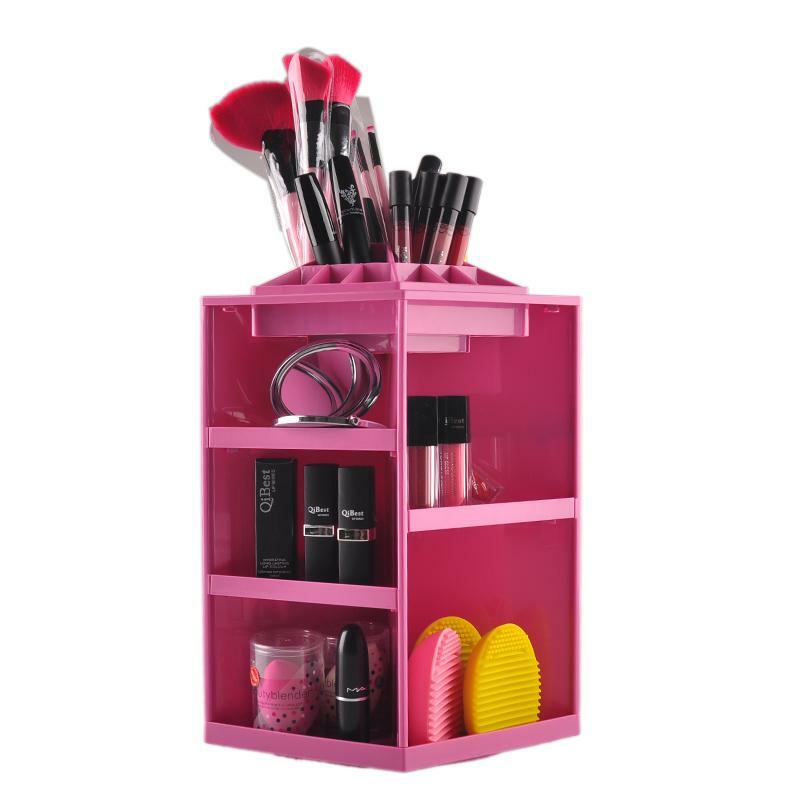 Get organized with this tabletop organizer holds over 100 pieces of your everyday beauty items, arranging them in specially designed compartments for ultimate efficiency. What’s more convenient is it spins so you can access your skin care, colored cosmetics, or other grooming supplies with ease. 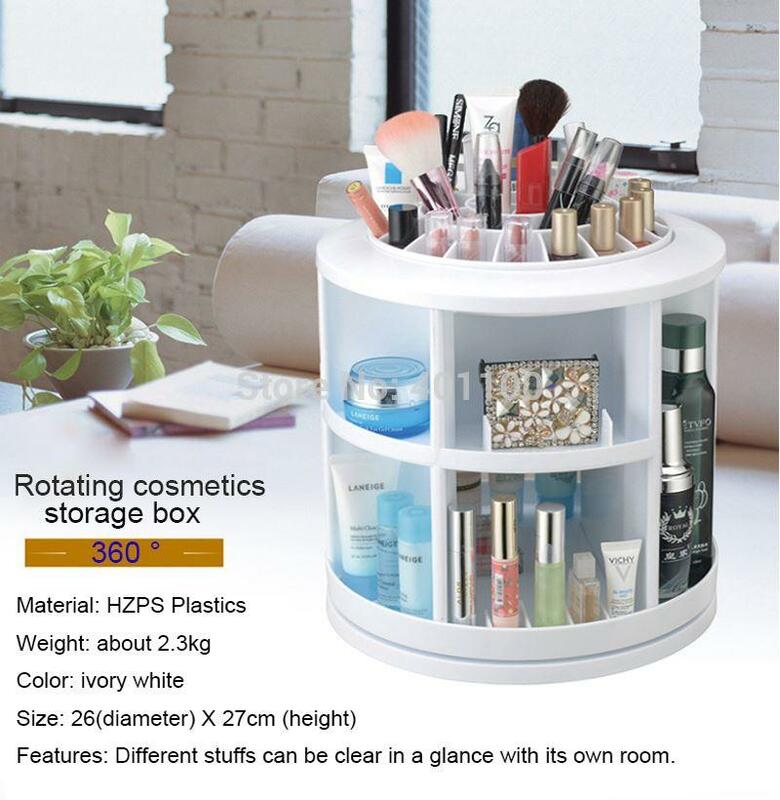 This 360-degree Rotating Cosmetic Organizer comes with 3 pluses; functionality, portability practicality. A simple and convenient way to get organized by placing your essential cosmetics in an organized and structured manner, so that you never have to spend too much time looking for something, especially when time is of essence. 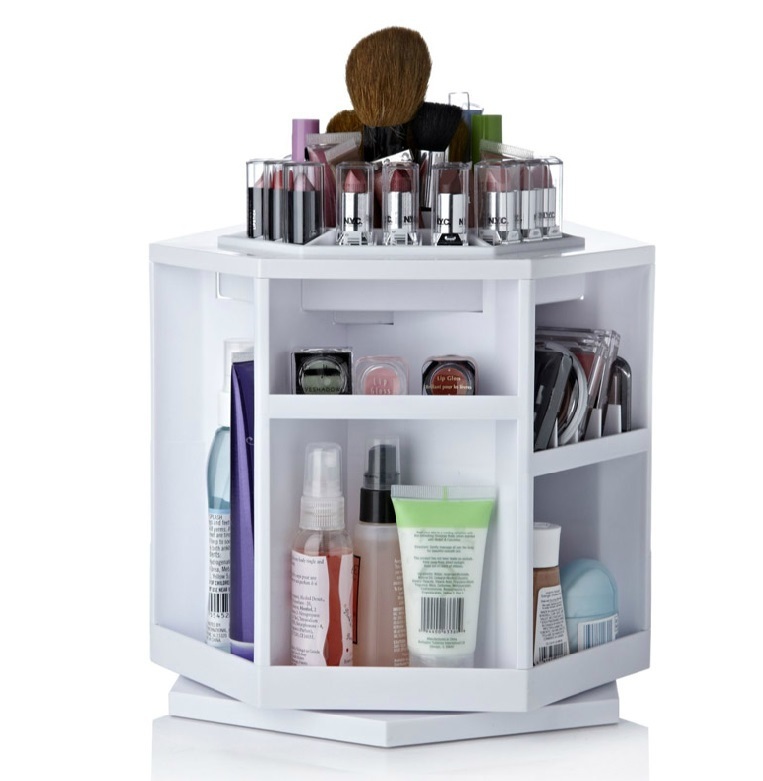 Simply rotate and have fun while turning the organizer in search of your beauty pallet.